Great news for all involved that Georgia Folk Punk band In for a Penny’s 2017 release “One More Last Hurrah!” Was not the last hurrah for the band and they are back with a new e.p. Heavily routed in celtic music but moving away slightly from the punk side of things that could be heard in “One More Last Hurrah!” (which featured in our best albums of 2017) and towards a cleaner rock sound whilst still sounding like the In For A Penny you know and love. “ ‘Fore the devil” features more prominent bass and rounds off the usual In For a Penny sound and the low end that really sets the pace of the track. When this is combined with warm and gravelly vocals of Sean McNally gives it a fantastic classic punk feel that wouldn’t be out of place on a Stooges album. “Dancin’ with the stars” is of a slower pace than the band usually do. Its has a hint of folky Americana and seems to build as the song progresses and creates such an impressively big sound that you would think would need significantly more band members. The main riff from “Broken” has been stuck in my head for a few days now and is showing no sign of leaving. The drums and vocals control the track for the best part as the other guitar and mandolin are used sparsely. It feels like a great song to open a set with, creating a huge atmosphere that keeps the crowd waiting just that little bit longer before they can really get dancing. That feeling of anticipation I get when listening to “Broken” may just be because the final track on the e.p. “Your Claddagh Heart” featuring Johnny Piper from Alternative Ulster on Bagpipes ( https://www.facebook.com/bagpiperockandroll/ ) is my new favourite song by In for a Penny. A genuinely beautiful dedication from Sean to his wife that I would not be surprised if it used as a first dance for a lot of people in the future. Just listen to it, love it then listen to it again. The only negative I have is that it is over too quickly. Sometimes its better to not is out on the 17th March 2018 you’re in for a treat! 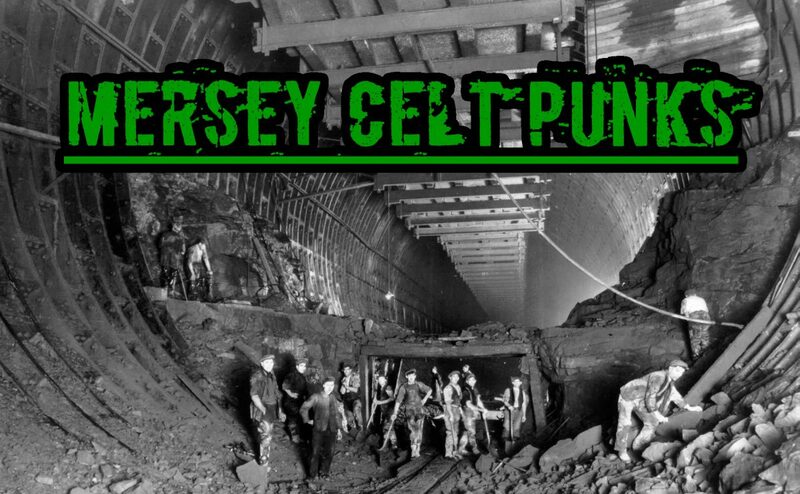 – Elliott, Mersey Celt Punks.